« Sey: Profile Pick Gift Volume 3!! 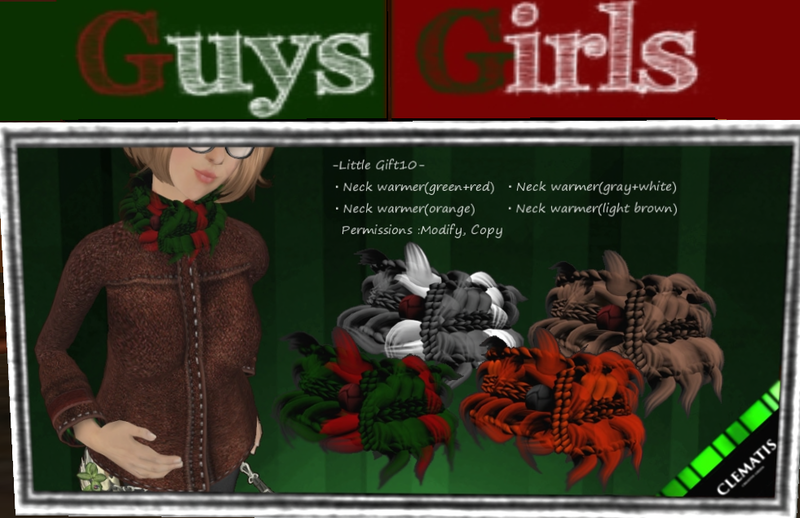 CLEMATIS Xmas Freebies for BOTH Genders!! For BOTH comes in 4 Neck warmers of the colors you see on the poster! It is Mod. and Copy!